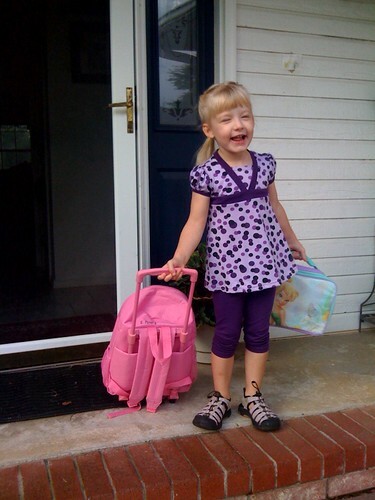 Emma’s first day of school! 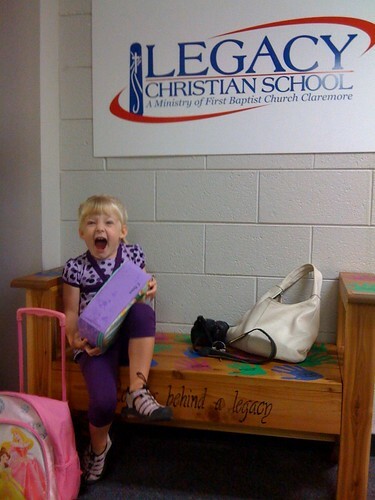 We took Emma to her first day of preschool today. She was very excited.. until she found out that Mommy was not staying with her. Here are a couple pictures of our big girl!